The 29th Annual Cushing Crossing 2019 edition is the best event of the spring season for Squaw Valley / Alpine Meadows in the Lake Tahoe region. 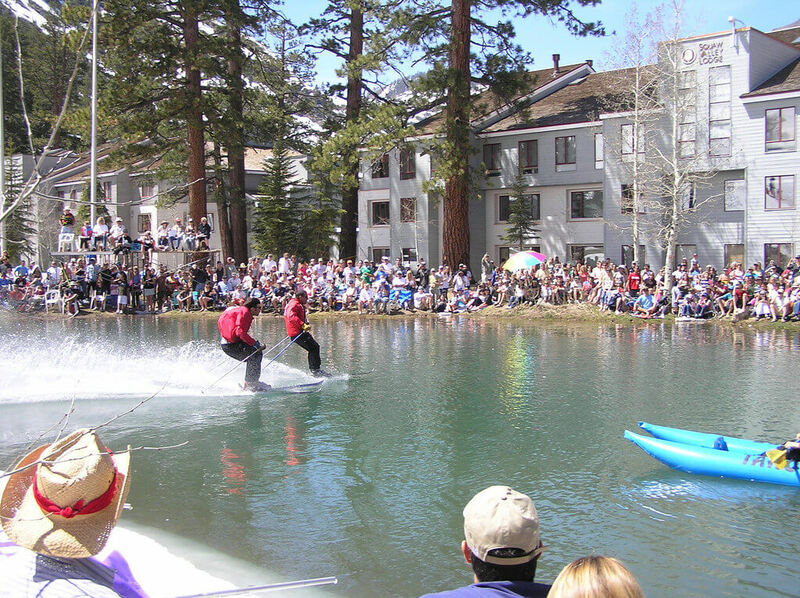 The original pond skimming event that started a spring resort ritual. Every year we gather a celebrity judging panel and amazing emcee’s for this spectacle. Filled with big spills and laughable thrills this is one spring event that you don’t want to miss. Event kicks off at 1pm, awards at 3pm at the KT Base Bar. Registration: 9am at KT Base Bar (limited to 50 participants, $20/person, cash only). Participants must be 18+. Helmets and personal flotation device is mandatory.